A motorcyclist was killed Tuesday morning after he was involved in a head-on crash on Paul Buchman Highway at Fredda Avenue in Zephyrhills. According to the Florida Highway Patrol, the motorcyclist was travelling north and approaching a curve when he attempted to pass another vehicle in a marked no-passing zone. Investigators claim that the motorcyclist drove into the path of a Hyundai Sonata heading south. The two vehicles collided nearly head-on around 6 a.m.
A motorcyclist was killed Tuesday after a head-on collision with another vehicle in Zephryhills. The biker, who was wearing a helmet at the time of the crash, was ejected from his motorcycle and taken to Florida Hospital, where he died a short time later from his injuries. Typically, head-on collisions are the most deadly types of all motor vehicle accidents, and head-on accidents between cars and motorcycles are no different. When the front of a passenger car slams into the front of a motorcycle, the sheer force alone is enough to kill the motorcyclist instantly in many cases, and usually results in minimal damage to the other vehicle involved. In head-on collisions, size does matter. When two cars smash into each other, the brunt force of the accident can crush the steel frames of the two vehicles. Sadly, the damage to smaller and lighter motorcycles, as well as their unprotected riders, is generally far worse. 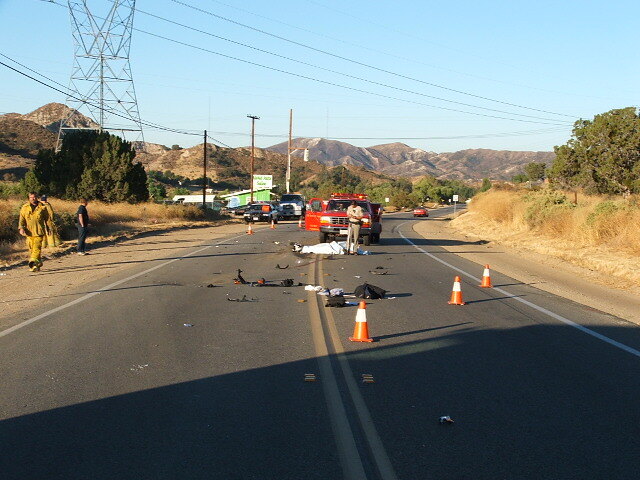 In the United States, head-on collisions account for 10 percent of all traffic fatalities. In many instances, head-on crashes are caused by careless or negligent motorists. A majority of these accidents can be attributed to distracted, drunk, inattentive or reckless drivers who were speeding or lost control of their vehicles. After being involved in a head-on collision, it is important to consult with a motorcycle accident attorney who can evaluate your legal claims and help you hold all negligent parties accountable for your injuries or for a loved one’s unfortunate death. A Pasco County Motorcycle Accident Attorney at Whittel & Melton can help you and your family obtain the financial justice your need to move on with your lives following a tragic head-on collision. If you or someone you love has suffered harm in a motorcycle accident in New Port Richey, Dade City, Zephyrhills, Land O’Lakes, Hudson, Holiday, Lutz, Trinity or Wesley Chapel, please call us today at 727-847-2299 for a free case evaluation.